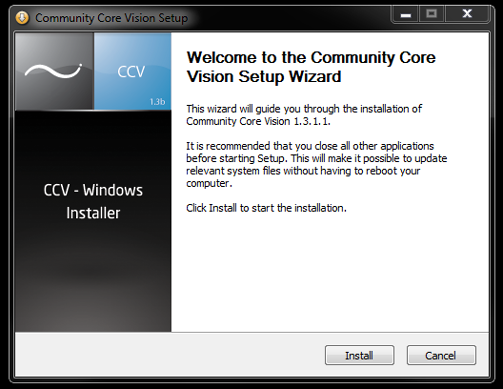 Hey guys we are happy to release CCV 1.3 which brings with it a much easier to use installer. We have worked on the tracking algorithm to provide much more smoother tracking, this includes a simple weighted low-pass filter and using floats instead of integers in our display mapping methods. Please let us know any feedback and have fun! Getting started with computer vision and multi-touch has never been so easy. - Fixed known logging issue. Well Christian and all NUI guys! Thank you for the installer. This will make things easier for new people on NUI. Keep on the great work! We believe in you!